There are so many adorable little things about Penelope. I know I’m completely biased, but you must be made of stone not to ‘aw’ and oo’ as her tiny feet and pink toes. She’s already 3 months young. 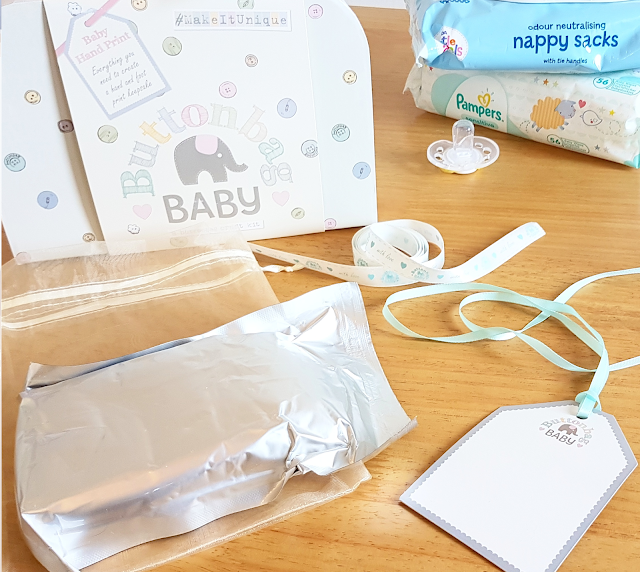 She’s already grown out of her Moses basket and so many pink vests and sleepsuits. It will be different when she’s older, I’m sure I won’t go on and on about time going so quickly, it’s just that she literally changes and learning new things every day. She looks like a completely different baby if you look back at photos I took just two weeks ago! This is why I was so thrilled when I was very kindly sent the Baby Hand Print Craft Kit from Buttonbag*. I think we did okay for a first attempt. I definitely recommend having a helping hand to get the baby’s tiny foot into position! 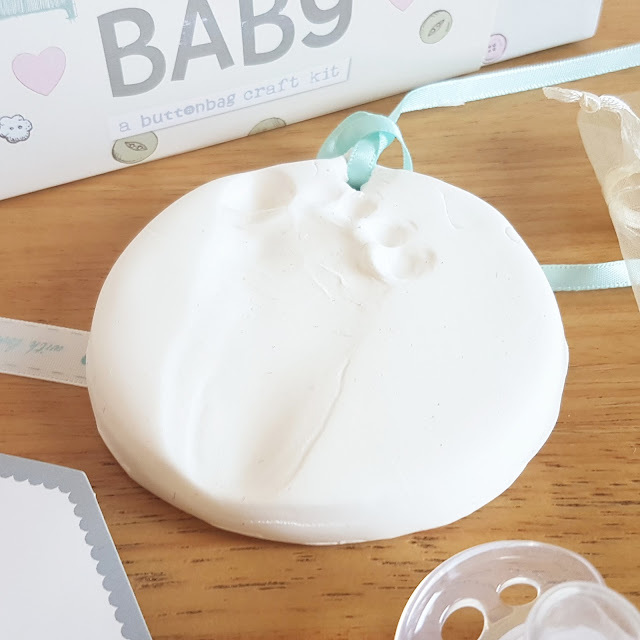 I love the fact that the clay doesn’t dry immediately, so you’re not having to frantically rush about whilst trying to settle a baby. You can actually take your time with a cuppa and enjoy yourself. 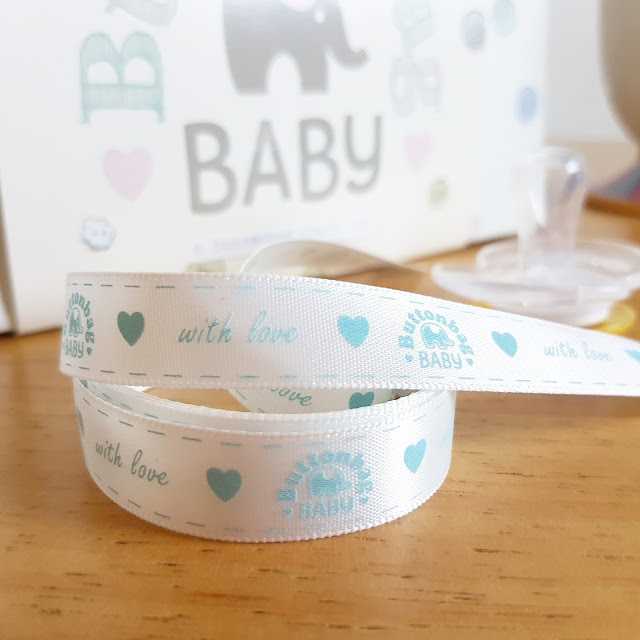 There would be nothing worse than staring at your beautiful keepsake in years to come and being reminded about the absolute nightmare it was to create. The set and also the finished keepsakes make great Christmas gifts! 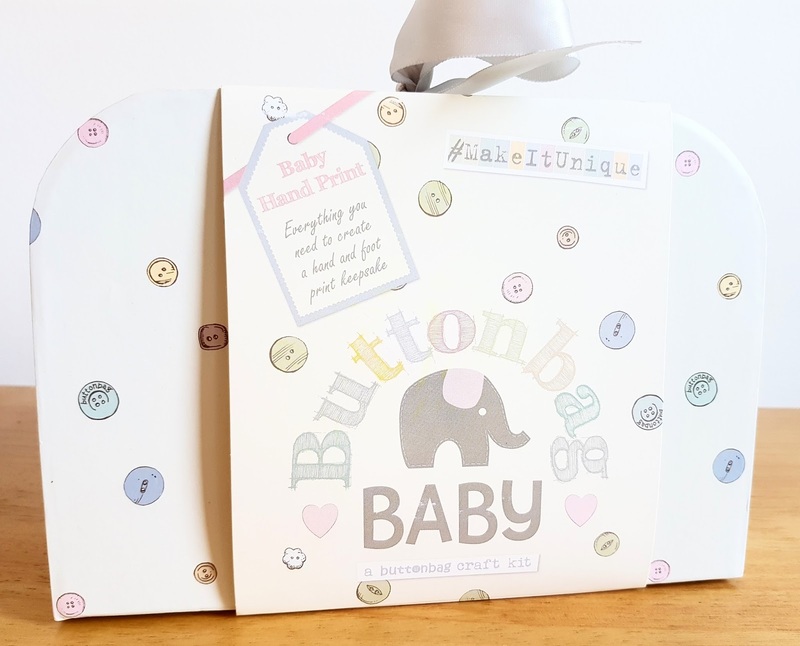 This Buttonbag Baby Hand Print Craft Kit retails for £20 and is available here. "Primark PS… Illuminate Cream Highlighter Palette | Review & Swatches"
"The Clueless Mummy | What is an Episiotomy?"